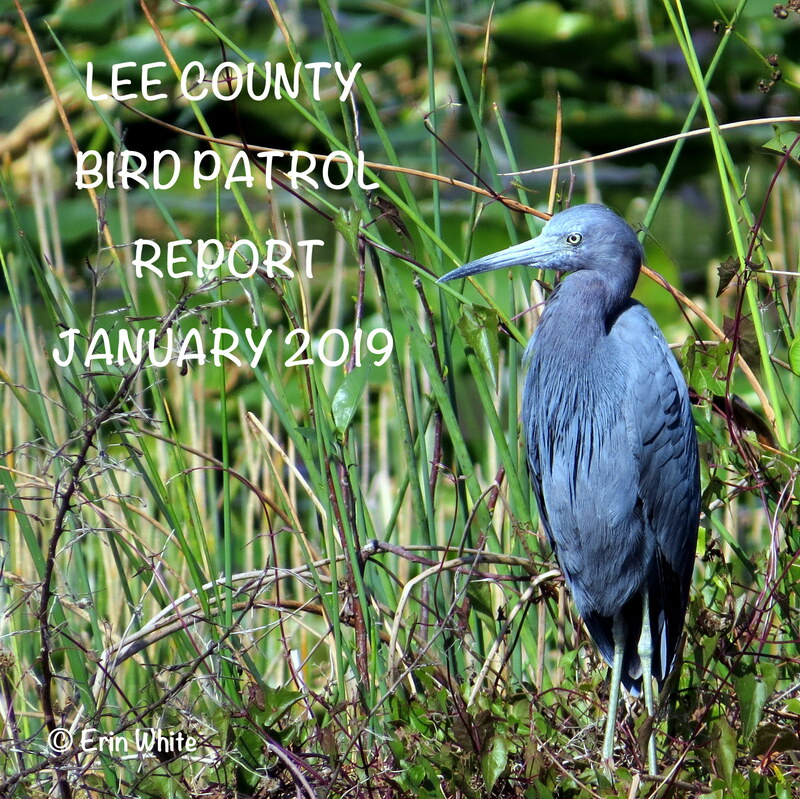 Lee County Bird Patrol offers birding tours on the first Saturday of each month at Lakes Park from 8:00 AM until 10:00 AM. Meet at Shelter A7 in the park. This is a walking tour with a Bird Patrol guide. Bring camera, binoculars, water. Wear hat, sunscreen or other sun protection, comfortable shoes, appropriate clothing for the weather. This morning was a perfect morning for a bird walk at Lakes Park. Temp. was 67-72 and very little wind. We were treated to watching several Great Blue Herons as they were nest building. Another highlight was the Ruby-throated hummingbird which came into view as soon as Anita did her Hummingbird Dance. Thank you, Anita. Many thanks to all of those who participated and helped find our flying friends. Don’t forget to join Vince McGrath next Lakes Park Bird Walk on Sat., Feb. 2, at 8 AM. 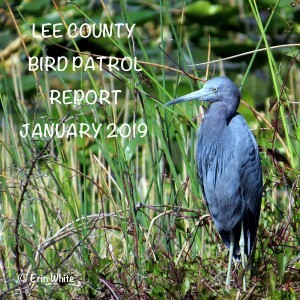 Comments: Anita and I conducted these observations during the Jan. Bird Patrol led Morning Meander in Lakes Park. Ruby-throated Hummingbird (Archilochus colubris) 1 Female flying in the Fragrance Garden. Yellow-bellied Sapsucker (Sphyrapicus varius) 1 Bob saw it before the walk started.